As parents, we don’t have to tell you – there are so many sugary foods and beverages that are marketed either directly to indirectly to your kids. Among these, energy and sports drinks can have a tremendous negative impact to youngsters’ smiles. In this post, your trusted children’s dentist in Reunion explains why you should avoid these beverages. Learn more from the team at Treasured Teeth in this post. Why Are Sports Drinks Bad For Kids? 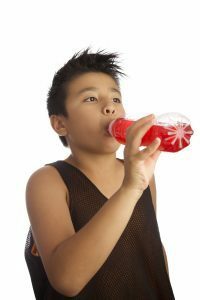 As your kid’s dentist in Reunion, Dr. Derren Tippets and Dr. Michele Lacy have seen many young grins negatively affected by seemingly helpful sports drinks. As harmless as you might think these are, they can be detrimental to kids smiles because they are loaded with sugars and dyes. 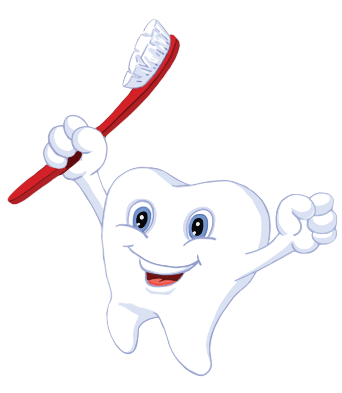 Since kids – even young athletes – are still developing hand-eye coordination, it can be hard to brush and floss properly, and drinking sweet drinks that bathe their teeth in sugar with each sip can lead directly to tooth decay, cavities, and gum disease. And, red, blue, and yellow dyes can even leave a lasting mark if these are your children’s beverage of choice. Why Are Energy Drinks Bad For Kids? As a triple-threat to kids smiles, energy drinks combine carbonation, sugar, and caffeine to wreak havoc on your children’s teeth. Energy drinks cause trouble both inside and out – the sugar can eat away at tooth enamel, and the caffeine leaches calcium from bones, like their teeth. Not only can these be problematic for their pearly whites, too much caffeine can lead to irregular heart rhythms, sleep issues, behavioral problems, and even compromised bone structure. What Should My Kids Enjoy Instead? Fruits – If kids are dehydrated and lacking electrolytes, try a combination of water and fruits like bananas and oranges, which have the sugar they need to replenish, as well as healthy fiber to keep blood-sugar levels stable. Sugarless Gum – If kids need a fresh flavor because they’re bored with water, allow them to enjoy sugar-free gum that’s sweetened with Xylitol, which helps prevent cavities – after they’ve finished drinking their water, of course. Electrolyte Packets – You can invest in some sugarless electrolyte packets from your local drugstore or health foods store. And, even if you’re only able to find these with sugar in them, they include an amount of this sweet substance that is minute in comparison to other options. But don’t overdo it with these – always talk with your doctor to prevent an electrolyte imbalance, and especially if they show any signs of dehydration or heat exhaustion/stroke. Now that you know why kids should avoid energy and sports drinks, be a good example and limit these yourself, since they’re not that healthy for Mom and Dad, too. And schedule an appointment for your son or daughter with Treasured Teeth today!